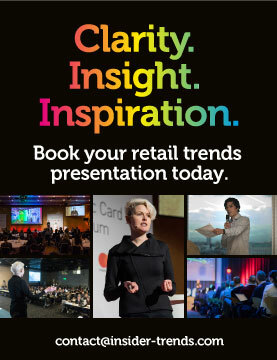 Carol Spieckerman is an expert when it comes to motivating, advising, supporting and informing – so who better to talk us through the key elements of the broader retail picture? Spieckerman Retail tracks these ‘global retail trajectories’ for a wide range of industry stakeholders. They’re not knee-jerk reactions though – these themes have serious staying power so they’re worth paying attention to. Can you describe what it is that you do? I help companies who work with retailers futureproof their positioning and accelerate their business development. 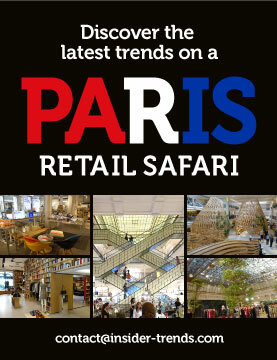 I also speak around the world on what’s happening in retail and what to do about it. My specialty is not having a specialty – a lot of the audiences that I speak to are quite diverse because I look at retail from a very channel agnostic perspective. That’s really my sweet spot, speaking about retail in a way that’s relevant to all of the stakeholders who participate in it. What are some of the interesting nuggets that you’re sharing with your audiences? All of my presentations are customised, but all of them do have one thing in common – and that is that they centre around what I call my retail trajectories. These are themes that I’m constantly creating and tracking on behalf of my clients. 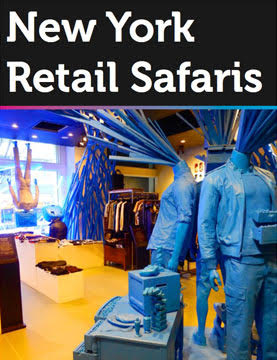 At any given time I’m tracking as many as 40 or 50 trajectories that create a broader vocabulary for retail and allow me to talk about retail in a way that connects the dots – between categories, between all of the different stakeholders, between all of these different diverse companies that now participate in retail. My presentations curate those trajectories and connect them together into a story that’s relevant for that particular audience. What’s interesting is my trajectories do also tend to withstand the test of time. For example, for at least the last eight or nine years I’ve been talking about what I call the rise of the Retailer To Retailer (RTR) partnership. When I first identified this trajectory, the idea that retailers would actually start partnering with one another in any way shape or form, and started tracking it, it was a very new concept. That was right at the time when retailers saw everybody as the enemy, and they were operating in a very paranoid way. Then we saw some retailers breaking out, and at the time it was taking the form of shops-in-shops – retailers opening shops in other retailers’ stores and that type of thing. That’s an example of a trajectory that is just as relevant now as it was when I first started talking about it, but it looks very different and continues to evolve. So the new permutations of the RTR partnership are things like online marketplaces and you have retailers selling their private brands on other retailers’ e-commerce sites. What keeps me excited about creating trajectories and tracking them is that they do evolve. There are always new examples, and new manifestations of them, and it’s just a really great way to continue to talk about retail. It also affects the way my clients do business with retailers, because they start to see retail through a retailer lens. I think so many people in the media talk about consumer dynamics and changing consumer habits. I think the mistake that gets made is that everyone assumes that retailers are just responding to what consumers are doing and that that’s the role of the retailer. 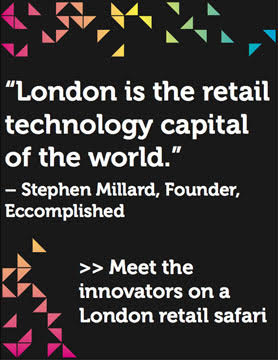 In a way it becomes “if you’re talking about consumer behaviour by default you’re talking about retailers”. And that’s not true because retailers are their own unique entities and they have their own strategies. And no two have the same strategy these days. They’ve got so many options at their disposal that they actually have never been more different in terms of the approaches that they’re taking. That points to another one of my top trajectories: “Shaping is the new responding,” which dispels the myth that retailers are just reacting to what shoppers are doing. Instead, armed with powerful new data tools, they are well positioned to actually shape consumer behaviour. Responding is always going to be part of the equation but it by no means is the main story. So the question becomes “What are you doing to shape the future, not just respond to what’s happening now?” The answers have far-reaching implications, and not just for retailers. Are there any examples of how leading retailers are shaping things? A really good contrast example would be CVS Pharmacy deciding not to sell tobacco products. That’s not a response to consumer behaviour. Shoppers love to buy tobacco products and they bought them at CVS. But CVS decided, “we’re going to have some integrity around a health and wellness message and as part of that we’re not going to sell tobacco products.” In some small way they’re actually helping to shape consumer behaviour. Another example that is often portrayed as retailers responding to shoppers is this proliferation of small format stores. The funny thing is the two dynamics are always at work together. So do shoppers prefer in some cases smaller stores that are easy to navigate? Yes. However what’s happening is that as more of the small format stores are coming on the scene, including these European disruptors like Aldi and Lidl coming into the US, they’re actually encouraging people to make more trips and to sometimes buy fewer items on each trip. So in a way retailers are responding to a desire for convenience, but at the same time by enabling that convenience, they’re actually changing the way shoppers shop and how frequently they shop. They’re going to specific stores to buy specific categories, or of course shopping online. Sometimes they’re buying closer to need and they’re buying with greater specificity. So are they doing that just because they want to? Well not necessarily, they’re doing it because they can, because retailers are actually shaping that behaviour by making those options available to them. It’s a story that really proliferates all through retail, this idea that retailers have the power to change shopper behaviour. This has never been more true because of the data that they have access to, and the ways that every day they get better at utilising that data and making it actionable. A big part of that is not looking in the rearview mirror at Point of Sale data, but looking ahead to the big data and advanced analytics that can actually empower retailers to change what shoppers do. One that I’m tracking ties into this rise of Retailer to Retailer partnerships. It’s what I’m calling, “Marketplace Mayhem”. I’ve been saying for a while that ‘ubiquity is the new exclusivity’, which is to say that in the old days brands could only sell in a single channel. They had to be very worried about selling to two retailers that operated in the same tier. They were always having to be hyper vigilant about managing competitive situations. Now we’re operating in a world where they’re pretty much free to go and sell to just about anybody. This whole idea of demanding exclusives is going by the wayside. It still happens but it’s not nearly as dominant as it used to be. Not only that, former so-called wholesalers or manufacturers are opening their own stores. They’re going direct to consumer and they’re also selling their goods on all of these different digital marketplaces, and through other retailers’ stores. But what’s happening when something goes wrong. Who’s to blame? Who gets dinged when a delivery is late? Or when there’s a quality problem? Or when there’s a massive recall? Or when something more severe happens like tainted food products? As more of this ubiquity takes shape, I think that issues of liability are going to become complicated, particularly in the digital space. We already see that with counterfeit goods. I think when you open up all of these platforms and partnership scenarios and new business model scenarios, then it blurs the liability and I think in the future it’ll create some hiccups. When Amazon has these thousands and thousands of third party sellers, if there’s a problem is Amazon to blame? Or is it the third party seller? When all these other retailers start opening their marketplaces for all these other sellers, are they really monitoring the experience, the quality and everything that these sellers provide? Because at the end of the day their platform is what’s front and centre. Is there a least known but most important trajectory? I think organisational dynamics are not talked about enough. Everybody’s talked a lot about consumer behaviour, mobile, digital and all of the innovation that’s out there, and those changes that are in plain sight. But along with that, retailer organisations are transforming at a tremendously rapid rate. Along with that, lots of different roles over the years are going to be eliminated. Not necessarily because retailers are struggling, but because they can eliminate those positions as they’re no longer needed. 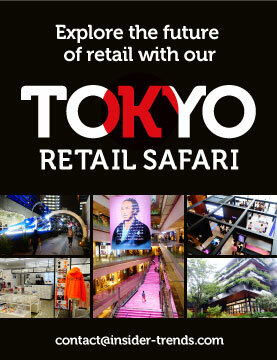 We’re going to see a big shake up in retail organisations. Certain roles that have more repetitive functions that can be easily automated are going to start going away. One of the trajectories that I’ve been talking about is what I call “aliens at the table.” What’s happening with a lot of those folks that work with retailers is that the people that they meet with at retail HQ don’t look like they used to. That only stands to reason because retailers are not only reducing headcounts, but creating all of these new positions that deal with digital innovation and total customer experience, and really pull away from that more siloed approach to organisational structure. Retail organisations are becoming flatter so that they can make quicker decisions and operate a lot more like these technology companies and start-ups that they’re modeling themselves after, and in some cases acquiring. So now the person sitting across from you is probably no longer steeped in the traditional old school retail that we were used to for many decades. They might be somebody who just came over from a digital agency or from a technology start-up, and that’s going to change the culture of retail organisations. It’s already happening, and of course it’s going to radically change the way that people work with retailers. Those kind of old school approaches that were geared toward buyers and merchants are going to have to go by the wayside in favour of strategies and positioning stories that will resonate with these more technologically savvy quick-on-the-uptake folks from outside of traditional retail. It’s intentional. Retailers are not necessarily trying to grow category experts within their organisation. They’re trying to build multi-dimensional talent that can make quick decisions and move around the organisation very seamlessly. One that I would pull out is “Here come the hybrids” – that is acknowledging that so many of the definitions that have always defined retail and defined retail stakeholders are becoming obsolete. For example, companies that are still referred to as manufacturers that don’t make anything. Some of them are just brands. Maybe one day they were manufacturers but now they’re just brands. And beyond that those brands are opening their own stores. So they’re retailers. They’re selling to other retailers so they’re wholesalers. They are selling on e-commerce, so they are e-tailers. Look at a Wal-Mart and Target. They’re solution providers, they are health care providers, on some level they are in financial services. I think it’s relevant, whether you’re working with these companies or you are one of those companies, to acknowledge that going forward they will have multiple identities. Hybrids are going to be the rule, not the exception. So when you’re working with these companies, your strategies have to acknowledge all of those identities. You can’t afford to pigeonhole them. Look at someone like Burberry. Are they a retailer? Yes. Are they a wholesaler? Yes. Are they an entertainment company? Yes. Are they fashion? Yes. Are they technology? Increasingly yes. But any article you read about them you’ll hear them referred to from a singular identity perspective, depending on who’s writing the article or what they’re talking about. I think there needs to be an acknowledgment of these multiple identities and the ways that it changes the collaboration models. Another trajectory when I talk about is “the content conundrum”, which is the fact that content is now driving retail to such a great degree. There’s this insatiable need for content and retailers realise that they cannot create it all by themselves nor do they want to. There are all kinds of industries or businesses like print media that the demise of has been predicted for years. And yet here they come bouncing back because of new dynamics that are happening in retail. How do your trajectories match reality overtime? It’s fun to instill that discipline in others, where they get excited about tracking changes and not just looking at what’s now. A big point of difference is that context is so much better when you track something through history. It’s so easy to look at everything, whether it’s politics or retail or any topic, and see what’s happened now or yesterday or this week. But taking that time to track the evolution of these dynamics makes them much richer and more interesting and more relevant. The fastest growing part of my business are solution providers, and that means a lot of technology companies and others who are just rushing into the retail space with all of their awesome innovations. Not to mention platforms that are operating on the fringes of retail, to where the concept of retail itself is just expanding almost infinitely. It feels like the universal expansion of retail in terms of who’s participating in it and who is impacted by it. Retailers have never been more open to outside solutions and as these solutions are developed, it’s going to accelerate change. I think it’s important to look at retail from a global perspective to also track the movement of which regions of the world are doing which things. I think it’s important to understand that some markets are much further ahead in some things and others are further behind. The smart retailers in the US are looking at global dynamics and they’re borrowing best practices from the regions that are doing things right, or that have worked the bugs out of particular models. That’s where some of these global retailers have a distinct advantage, because they have that global presence themselves. They’re not pushing everything out from the US office to their global presence, they’re learning from all of these markets and parlaying those insights strategically in the US and other places. How would you couple up regions and best practices? I would say the US is taking a leadership role in platform partnerships and aggressively going after acquisitions to grow talent and capabilities. I think Europe is doing a really great job with Click and Collect and offering efficient format innovations, like small format stores. Also, inventory lists and pick-up locations have been really pioneered in the European market and are now something that we’re exploring in the US. Do you have any thoughts on the future? It’s easy to talk about this thing or that thing. But I think it is important sometimes to take a pause and draw some larger conclusions and talk about how all of these dynamics are connected. I’m reluctant to say ‘this is the most important take away’, because then I think you’re encouraging people to ignore all the rest. If I had to pick, the one principle that is at work in retail universally is the idea that retailers are not just places that sell stuff, they are platforms. When you simply acknowledge that retailers are operating much more and will continue to do so, from there sprouts all the other concepts. Check out these top 10 disruptive brands for more insights into the evolution of retail, plus why we’re picking location-based shopping as a key trend to watch.